The Russian Interior Ministry has published draft amendments to the Administrative Offenses Code that would permit judges not to expel people from Russia who violated immigration regulations by allow them to take into account mitigating circumstances and substitute monetary fines for expulsion. 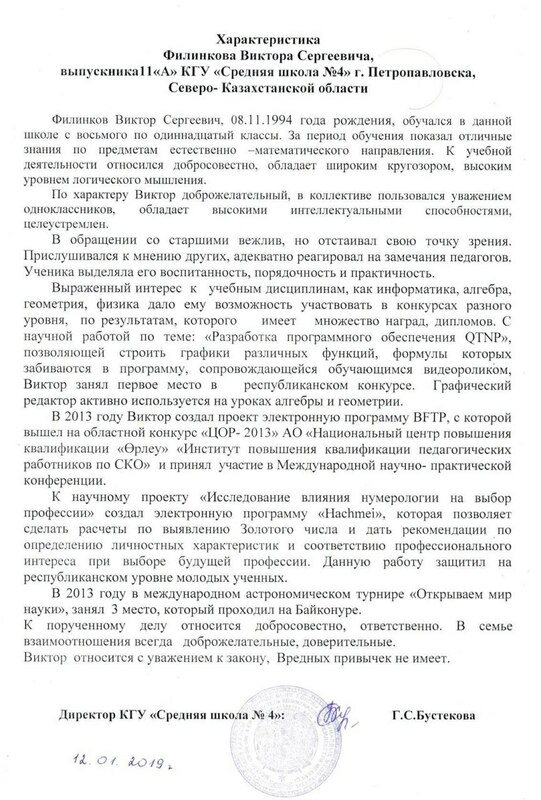 The individual approach has already been enshrined in several articles of the Administrative Offenses Code by decision of the Russian Constitutional Court, but the police are willing to make it the “general rule for the assignment of administrative penalties.” Meanwhile, the Russian Justice Ministry has reported to the Council of Europe on measures it has taken in response to the complaints of stateless persons, although the rulings of the European Court of Human Rights (EHCR) and the Russian Constitutional Court on these cases have not yet been implemented, experts have noted. Expulsion entails a five-year ban on entering the Russian Federation and reapplying for a residence permit. Courts did not consider the complainant’s work experience and payment of taxes as grounds for mitigating his punishment. The Constitutional Court ruled that these immigration regulations were unconstitutional and obliged legislators to individualize penalties for single violations of the controversial regulation by taking into account the length of an alien’s stay in the country, whether or not s/he has family in Russia, payment of taxes, and law-abiding behavior. Since December 2016, Article 18.8 Part 3 has allowed authorities to avoid explusion except in cases in which the documents confirming the alien’s right to stay have been lost or are lacking. In April 2017, the Constitutional Court’s approach was enshrined in the “General Rules for the Assignment of Administrative Penalties” (Article 4.1 of the Administrative Offenses Code), which deals with violations at official sporting events, for which foreign fans can get off, under mitigating circumstances, with a fine of 40,000 to 50,000 rubles and a ban on visiting stadiums for a period of one to seven years. In October 2017, First Deputy Prime Minister Igor Shuvalov instructed authorities to extend the approach to all cases of compulsory explusion. If the court concludes that expulsion is an excessive stricture on the right to a private life and is disproportionate to the objectives of administrative penalties, it can be substituted by a fine of 40,000 to 50,000 rubles [approx. 530 euros to 660 euros]. Courts may already opt not to order expulsion in accordance with the clarifications issued by the Russian Supreme Court and Russian Constitutional Court, but now the factors courts should take into account are supposed to be incorporated in the wording of the law, noted lawyer Sergei Golubok. Lawyer Olga Tseitlina told Kommersant the draft amendments are quite important, because courts have, in practice, ignored marital status and other vital circumstances. At the same time, the Russian Justice Ministry has sent a letter to the Council of Europe’s Committee of Ministers, asking it to recognize that the EHCR’s rulings on complaints filed by stateless persons have been implemented. The virtually indefinite detention of complainants in special Russian Interior Ministry facilities on the basis of rulings by Russian courts and the conditions of their detention in custody were ruled violations of the European Convention on Human Rights. The Justice Ministry reported that compensation had been paid to the complainants. They are now no longer subject to expulsion and deportation, and can “fix their migration status.” Moreover, the State Duma has passed, in their first reading, the admendments to the Administrative Offenses Code drafted by the Interior Ministry to settle the problem, the Justice Ministry reported four years after the ECHR issued its ruling. The Justice Ministry referred to the Constitutional Court’s ruling in the Mskhiladze case. In May 2017, the court also ordered that the Administrative Offenses Code be amended. The ruling has not been implemented, noted Golubok and Tseitlin, who represented Mr. Mskhiladze. The ECHR’s decision in the case of another of Tseitlina’s clients, Roman Kim, has not been implemented, either, she told Kommersant. “He has no legal status and de facto cannot apply for [Russian] citizenship or a [Russian] residence permit, since he cannot expunge his conviction due to his unemployment, but he is unemployed because legally no one can hire him,” said Tseitlina. She stressed the general measures required by the ECHR and the Constitutional Court have not been implemented, either, since no changes have been made to Russian federal laws.